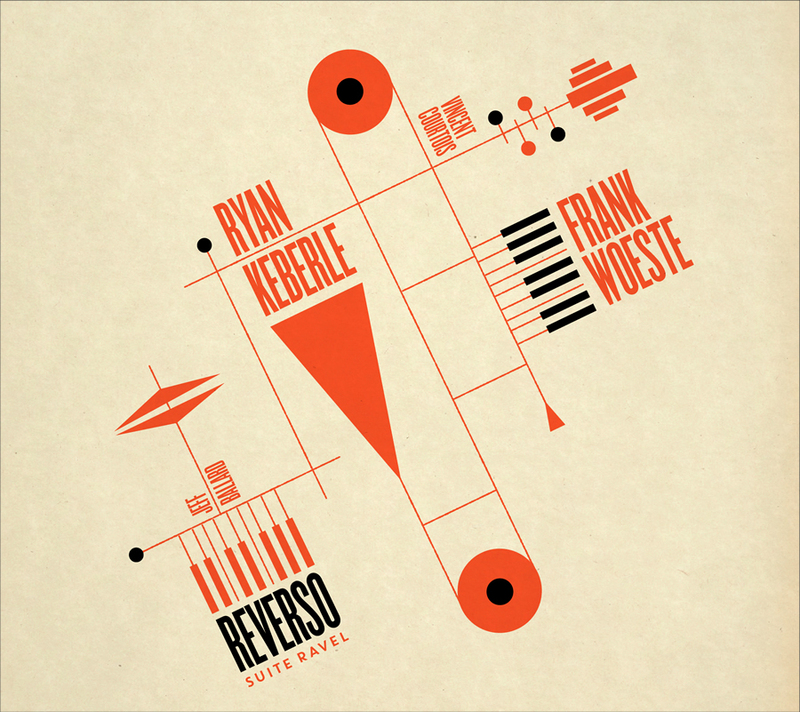 Ryan Keberle | NY trombonist, composer, and educator. Bridging the Atlantic through support from a French American Jazz Exchange grant, Woeste and Keberle explore the classic six movement French Baroque suite working with the characteristic movements of the Prelude, Fugue, Forlane, Rigaudon, Menuet, and Toccata, re-defining these movements within their own unique compositional languages while sometimes incorporating Ravel’s original melodic, harmonic, and rhythmic material. 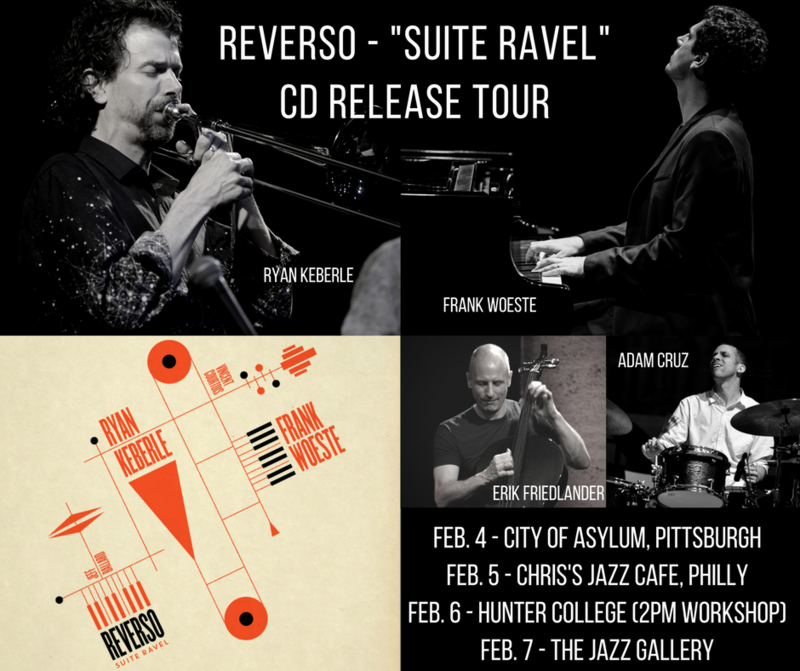 Ryan Keberle and Frank Woeste met in 2015 while recording with acclaimed trumpeter and composer, Dave Douglas, where it became obvious that they had much in common musically. Shared backgrounds in jazz, but also in the classical and popular music traditions, made this collaboration a meeting of the minds made all the more intriguing with the addition of acclaimed French cellist, Vincent Courtois, and the French-based American superstar, Jeff Ballard, on drums along with Keberle’s trombone and Woeste’s piano.